Microsoft made headlines in 2016 when a representative of the company started acting inappropriately on Twitter. Fairly new to the public social media platform, the representative, called Tay, quickly began dishing out highly offensive comments. Adding further insult to the damage done to Microsoft’s reputation, Tay was an early prototype chatbot that was engineered by Microsoft’s own research team. Though its intentions were noble, Tay was given the ability to learn from reams of user behavior to formulate its own original responses. As such, it was easily corrupted, drawing inspiration from some of the bad influences it came across. Microsoft couldn’t fire Tay, but it did have to remove tens of thousands of tweets that it had fired off in poor taste. Tay is often cited as living—if not quite breathing—testament to the dangers of letting artificial intelligence–driven machines act on their own. And for companies looking to implement sentient tools in their customer service endeavors—where appeasing the customer is paramount—the prospect of a Tay-type incident has deterred even some of the most tech-savvy enterprises from going anywhere near artificial intelligence (AI) technologies. 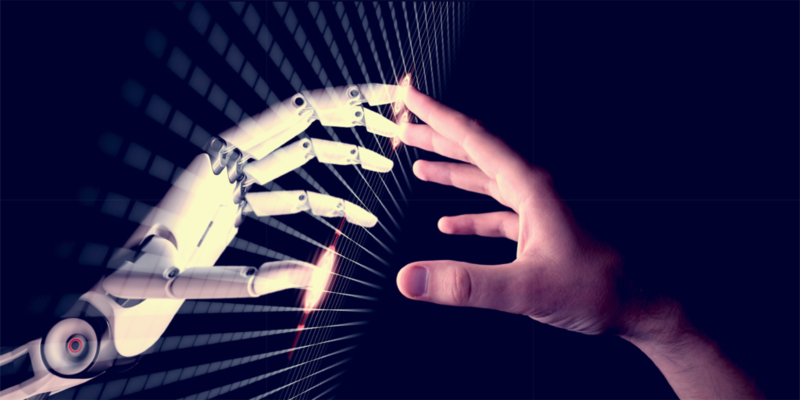 “Whether you’re looking at [AI] from an agent perspective or a customer perspective, this is a revolutionary technology, [one that] will change our industry,” says Kathleen Jezierski, chief operating officer at COPC, a global consulting company. “But we also have to remember that when it goes wrong, it can go wildly wrong,” pointing out that Tay’s mishaps were not just seen by one person, but by thousands. While it might be a terrible idea for a company to let AI conduct free and unsupervised conversations with people, let alone run a Twitter account, the consensus is that such tools can be useful guides to customer service organizations as they try to resolve common customer issues. They simply require the supervision of humans. Tools that use AI and learn from data to become smarter over time can help contact center agents quickly access information scattered across multiple locations. And when used wisely, these tools can also allow customers to quickly find solutions on their own. When, for example, agents have to deal with very complex issues, they need to be able to search for relevant information quickly. If no answers are available, agents can make note of this lack of information and improve the knowledge base by collecting feedback about it. The same AI technologies can also analyze text or voice recordings to identify customer emotions and intentions and then use that information to determine where a call or message should be routed. But the technology is far more versatile than that. According to Kate Leggett, a vice president and principal analyst at Forrester Research, AI and machine learning will extend far beyond the contact center to impact nearly every aspect of customer service, including field service and customer success management. Companies, then, should start using these technologies sooner rather than later. Unfortunately, it is not as simple as buying a solution and pressing some buttons. Many complex considerations have to be taken into account before companies can introduce AI into their workforce. Contrary to its portrayal in movies such as Ex Machina or Her, AI has plenty of limitations right now and will continue to be limited in the not-too-distant future. Experts agree that those who wish to replace live customer service agents entirely with robots will be disappointed, at least for the time being. Using AI to shave two seconds off every call by automatically classifying cases wound up saving one major insurance company up to $18 million a year, she says. But not every company can expect those kinds of results right away. Therefore, companies must set realistic goals with AI-driven technology, experts advise. “AI has been effective at structuring large data sets and millions and millions of records, which no human could ever do alone,” says Matt Swanson, CEO of Augment, provider of a customer experience AI platform. 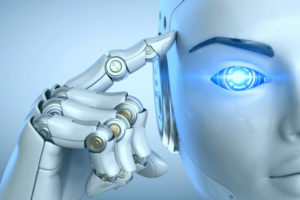 However, “where AI still struggles, and will for some time, is in decision making and the judgment of the appropriateness of what matches a scenario,” he cautions. For this reason, and because some ill-intentioned people might be inclined to try to sabotage chatbots by testing their skills or deliberately feeding them bad information—as was the case with Microsoft’s Tay—these technologies often cannot work on their own. Companies that are considering applying smart tools to their technology stacks would be well advised to figure out where AI can add the most value. Samsung, one of several companies that piloted Augment’s AI platform before its official release in September, was able to more than double traffic to its website by adding a chatbot. But the benefits don’t stop there, according to Swanson. The same AI technology that powers chatbots can help service agents find the information they need, but it also has tremendous potential to open up more opportunities for revenue. Using machine learning, the technology can sift through available data contained within companies’ CRM systems and other data repositories to surface recommended answers to chat-based questions. It can also use natural language understanding to read and interpret customer questions and then retrieve responses recorded from previous agent-customer interactions. Agents are then free to edit and personalize the responses before sending them to customers. If a customer is in the market for a television and wants to know about the size, weight, and dimensions of a particular model and whether it can be mounted on the wall, for instance, Augment can make sense of those questions and save the chat agent some time in having to look up the information, without the customer ever realizing that the interaction was being fueled by a bot. Further down the line, the technology will be able to surface product recommendations, drawing conclusions about which items people are likely to buy based on the queries they ask. In Samsung’s case, the company identified the need for support agents to quickly answer common questions about products that come in via its website. Because the chat format is convenient for visitors to a website, it might make sense for companies to first invest in that area. Leggett suggests starting small and identifying the areas where support organizations can get quick wins with AI. Reducing call volume and call handle times and upping customer satisfaction rates are common starting goals. Jeffrey Wartgow, senior director of product management at Oracle, agrees, noting that many Oracle users set out on their AI journeys aiming to reduce call handle times and volumes. He points to StubHub as an example. The ticket seller implemented a basic system with an intelligent assistant that walks customers through a FAQ section on its website to reduce the number of callers. If the questions are more complicated, the AI directs users to live agents. “It dramatically deflects all those very simple questions that customers can probably self-serve on so that the contact centers can focus on the more complex stuff,” Wartgow says. For now, such technologies can answer simple questions, but in the long term, they will be able to tackle more complicated issues. If, for example, a customer wants to know if his car is still under warranty, the answer could depend on a number of factors, including whether the person used factory-authorized replacement parts, kept up with the preventative maintenance plan, and other data that might not be stored in a CRM system. In those cases, the system would have to mimic a live agent’s line of questioning, guiding customers through sequenced and branched interview questionnaires to get the answers. Intelligent technologies can also reduce agents’ need to memorize every little detail, instead enabling them to look up information on the fly, which could cut down on training costs. In fact, according to Kelly Koelliker, director of product marketing at Verint Systems, some customer service organizations have been able to lower training costs by up to 52 percent after applying advanced knowledge management tools to their contact centers. Spending a lot of money on training is no longer a wise investment, he adds, noting that information changes so quickly today that once a fact is memorized, it could become quickly obsolete or be proved untrue. Today’s contact center agents need tools that update in real time and are able to keep up with the pace of a conversation. As agents are on the “front line,” Koeliker says, they need to be well equipped. “If you’re not giving employees all the tools that they need and everything in their arsenal to make absolutely sure that they have the best chance of making this customer happy, then you’re not going to be successful,” she stresses. Experts agree that for AI to be successful, the data on which it bases its conclusions must be reliable. Knowledge management tools can only work if the FAQs, support forums, community pages, and social media posts they access are reliable sources of information. If a tool is drawing from faulty data sources, it doesn’t matter how smart it is, the answers it gives customers are going to be wrong. The data also has to be available, accessible, and consistent. HighPoint recommends working on content curation before implementing technologies to support them. This step is especially important when dealing with very complex topics. After all, it wasn’t too long ago when government agencies armed their agents with fat, three-ring binders and forced them to manually flip through them for the information their customers wanted. Now, compare that to simply typing in a few keywords, accessing the exact section within a digital document, and being able to read a solution out loud to the caller verbatim. In such a situation, everyone wins. Leggett points out that advanced search technologies are available from companies such as Coveo and Sinequa. This article was originally published in CRM Magazine by Oren Smilansky and features a quote by Doug Taylor, Vice President, Operations at HighPoint.